Unlimited Golf in Virginia Beach by day and unlimited fun at the Virginia Beach Oceanfront by night. 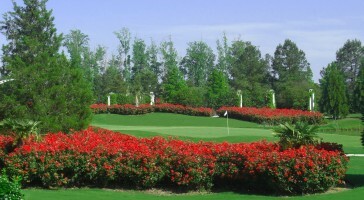 Some of the Virginia Beach areas most popular courses including both the Nicklaus and Palmer courses as well as the Pete Dye designed Virginia Beach National participate in this Virginia Golf Vacation promotion. 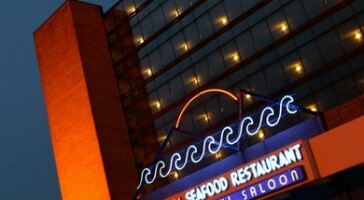 Stay nearby in oceanfront accommodations and after golf enjoy the best that Virginia Beach dining and night life. Unlimited rates are offered March and April each spring and October and November each fall. Get a trip quote today! Plan a Virginia Beach Golf Trip during March, April, October or November and receive free replays at several of the region’s most popular courses. 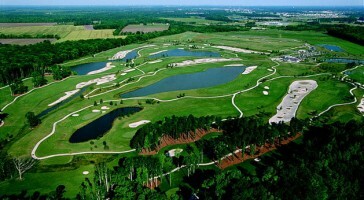 Participating courses include: Bay Creek’s Nicklaus and Palmer Courses, two the most well conditioned and scenic courses you will find on the east coast; Signature at Westneck, another well maintained Arnold Palmer design; the Pete Dye Designed Virginia Beach National and Sleepy Hole Golf Course along the Nansemond River. After golf enjoy unlimited fun with oceanfront accommodations in the heart of the famous Virginia Beach Strip where great restaurants and nightlife are just a short stroll down the beach.